Brighouse Town’s dismal home form continued with a 3-1 defeat to Ossett Town yesterday. It was an eighth defeat in 12 Evo-Stik NPL Division One North games for Vill Powell’s side at the Yorkshire Payments Stadium this season. 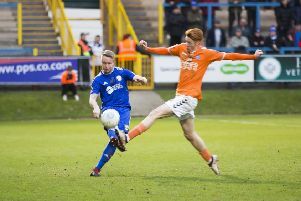 Brighouse had gone into the game on the back of a 1-0 win away to Skelmersdale on Saturday, when Ossett had lost 6-0 at home to Prescot Cables. However, Ossett struck first through Jason Yates on 20 minutes. Gabriel Johnson, who scored Brighouse’s goal at the weekend, hauled the home side level on 57 minutes but the visitors took a grip of the game through Kai Hancock (50) and Isaac Assenso (63). Both sides had a played dismissed in the last 20 minutes with Hancock first to go, followed by Johnson with three minutes left. Brighouse host bottom club Goole on Saturday. Goole drew 1-1 at Ossett Albion in a basement battle yesterday.